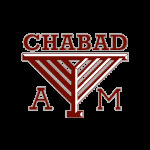 Hot Kosher meals now available in Aggieland! Here are some supermarkets with slightly larger kosher food sections. Check before you go, as information may have changed! Has a freezer section of Kosher food, and a small dry good section. Standard Dry Goods as well as a freezer section of Kosher food. Here are links for information on kosher food elsewhere in Texas. Be sure to check with the local Rabbis to be sure that this information is current, up to date and (when applicable) meets the mehadrin standards.